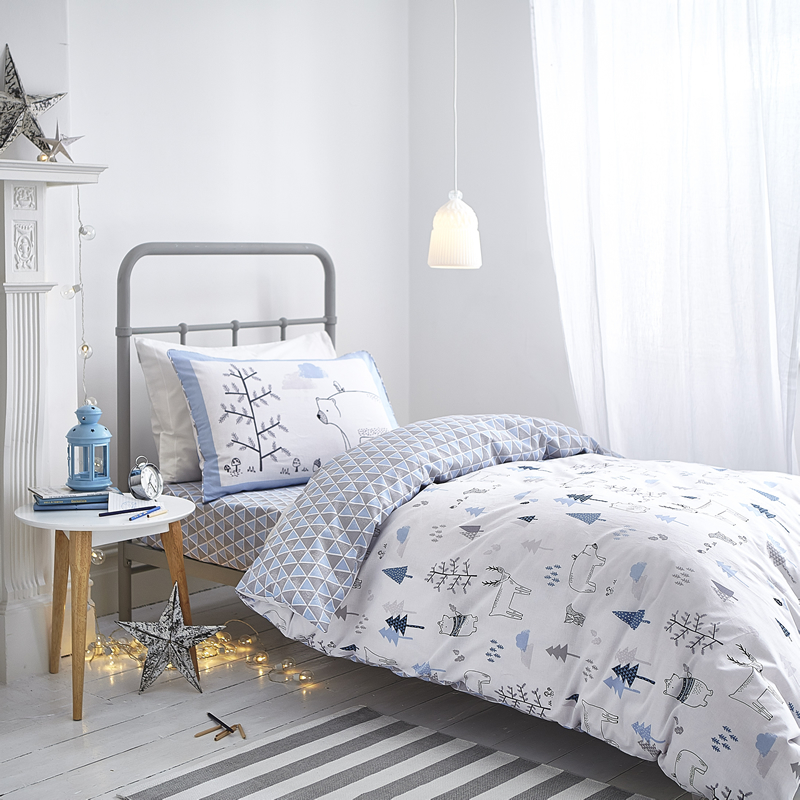 100% cotton bedlinen perfect for your little ones bed. Polar bears, reindeers, foxes and toadstool like sketches on a neutral background. With a geometric print design on reverse.